BYJU’S-The Learning App is the world’s largest learning app for school students with 16 million registered students on its platform. The app offers comprehensive learning programs in Math and Science for students between classes 4th-12th. It also has test prep courses for competitive exams like CAT, NEET & JEE, IAS, GRE & GMAT etc. 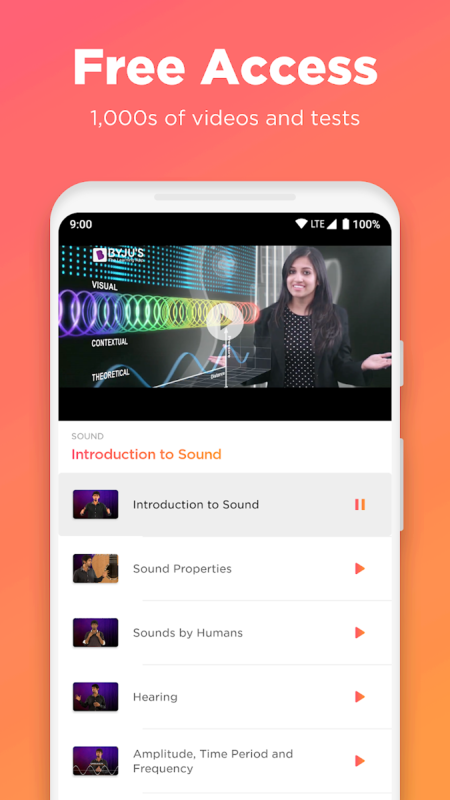 The app has classes from India’s best teachers including Founder CEO, Byju Raveendran, using state of the art technology for visualization. 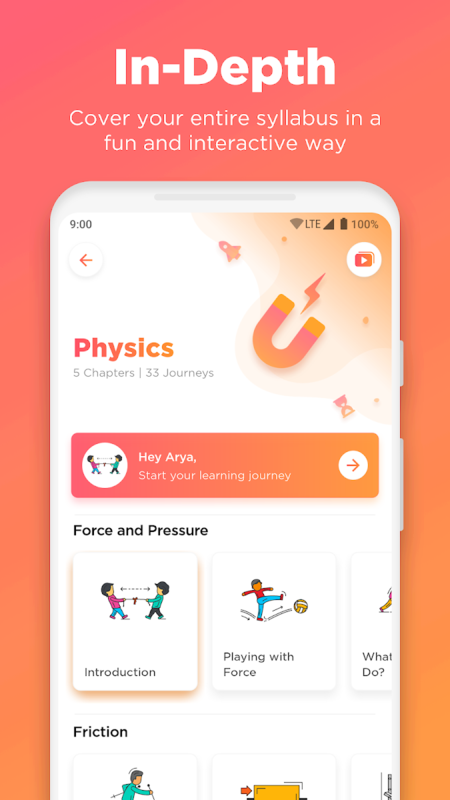 BYJU’S in-house R&D team of 600+ members have completely developed the app in house and are constantly working on making it even more engaging and effective. 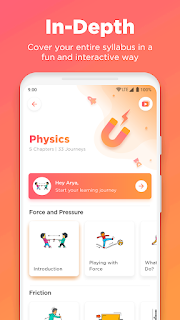 The latest version of the app personalises learning based on the individual pace and style of learning of each and every student. BYJU’S has developed an all-inclusive model, which breaks the clutter around rank holders making learning effective not just for the motivated students, but for everyone. The BYJU’S learning programs has been designed to make ‘every’ student fall in love with learning and not for the 'toppers' only. •	Learn - From engaging video lessons and personalized learning journeys designed by BYJU’S Rockstar R&D Team. •	Test - Practice to perfection with chapter wise tests that are customized to the learning requirement of every student. 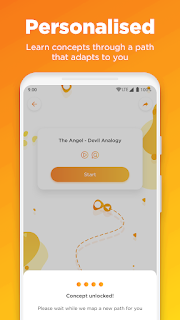 •	Analyse - The app runs an in-depth analysis based on customized tests and personalised learning paths adopted by the student. View detailed analysis of your progress and performance to plan better and improve your performance. 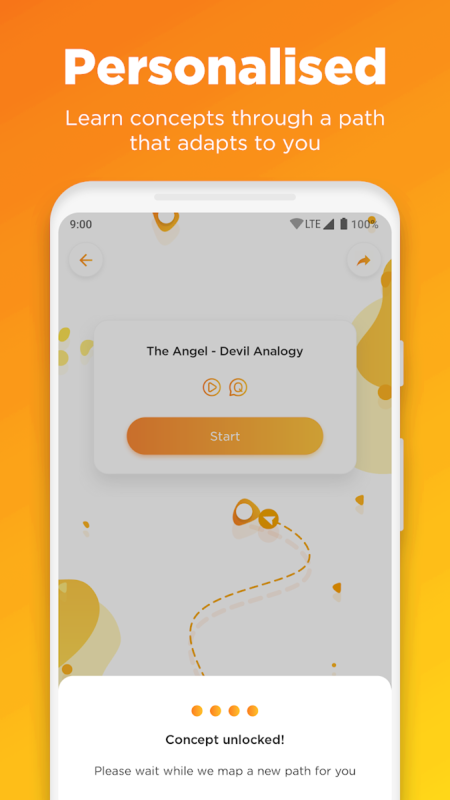 •	Revise - Each module offers revision and practice sessions for students to perfect their understanding of concepts and help them excel in their examinations. •	For exams and beyond - The modules are planned in a way that it provides complete coverage of all state-level Boards, ICSE and CBSE syllabus for classes 6-10 and complete IIT JEE Preparation and AIPMT Preparation for classes 11-12. For CAT Aspirants, get video lectures directly from Byju and PN Santosh (CAT 100 percentilers) themselves and complete test series (over 200 chapter-wise tests) and 20 Full Length Mocks. For IAS aspirants, get tricks and tips from IAS toppers to crack the CSAT GS Prelims and Mains. Also be up to date with updated current affairs videos, weekly current affairs quizzes. Watch simple and engaging video lectures on all topics from our expert IAS faculty. Knowledge Graphs - Exhaustive Knowledge Graphs provide students customized recommendations to understand concepts better. Practice - Feature offers warm up, run and sprint mode for every concept. This unique feature allows students to test at their pace and based on their level of understanding. 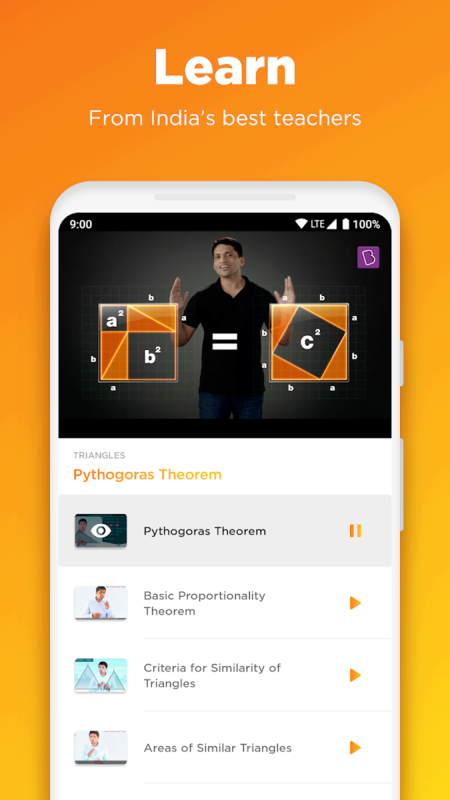 Today, over 16 million students are learning from BYJU’S. 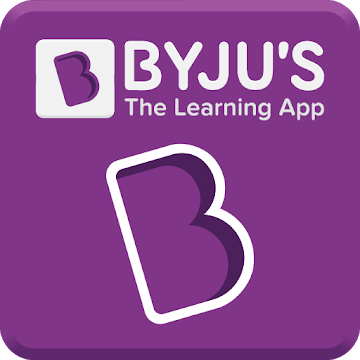 93% Parents reported an increase in their children’s grades after using BYJU’S-The Learning App. Also, students are spending 57 minutes every day learning from BYJU’S.